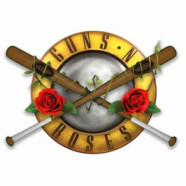 Guns N’ Roses, notorious for their larger-than-life, bombastic shows that engulf every fan, are the first act to be announced for the return of Louder Than Life. This year the festival will be headed to its new home at the Highland Festival Grounds At KY Expo Center on Friday, September 27, Saturday, September 28 and Sunday, September 29. Guns N’ Roses are Axl Rose (vocals, piano), Duff McKagan (bass), Slash (lead guitar), Dizzy Reed (keyboard), Richard Fortus (rhythm guitar),Frank Ferrer (drums), and Melissa Reese (keyboard).